HP Staal specialises in the sale and rental of new and used steel for temporary steel constructions, including but not limited to groundworks, road construction, hydraulic engineering and non-residential construction. 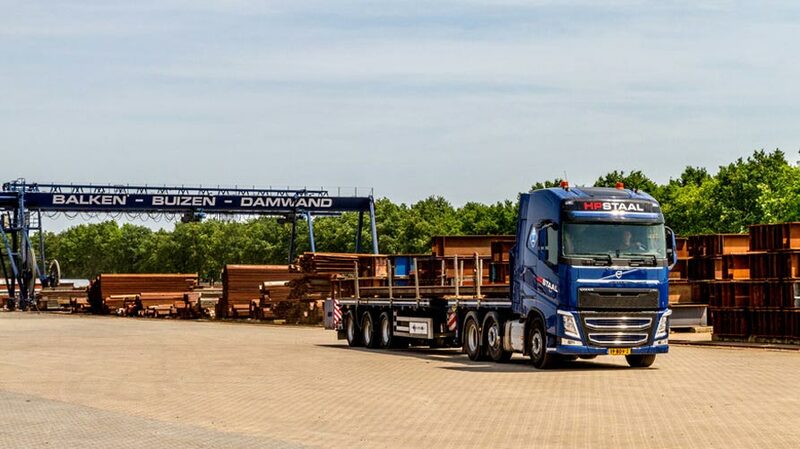 Situated in Vianen, we have over 60,000m² of floor space containing an extensive range of steel products, and can supply almost all products direct from stock. 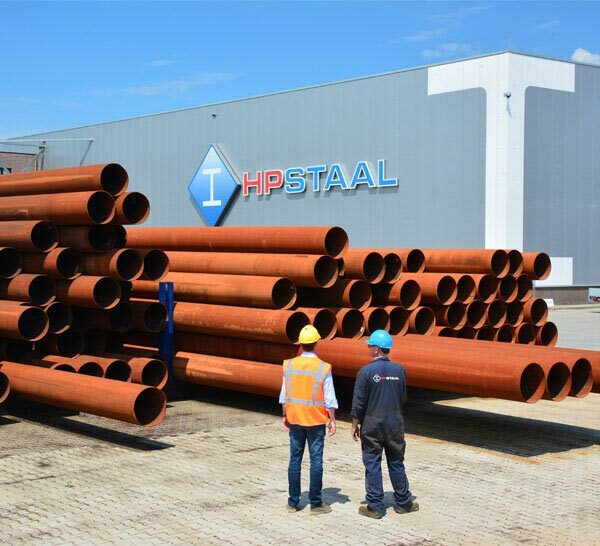 From steel girders, pipes to sheet piling and dock boards, it is possible to lease or order made to measure products direct from HP Staal. HP Staal aims to work in collaboration with you to find the best solution for your project. 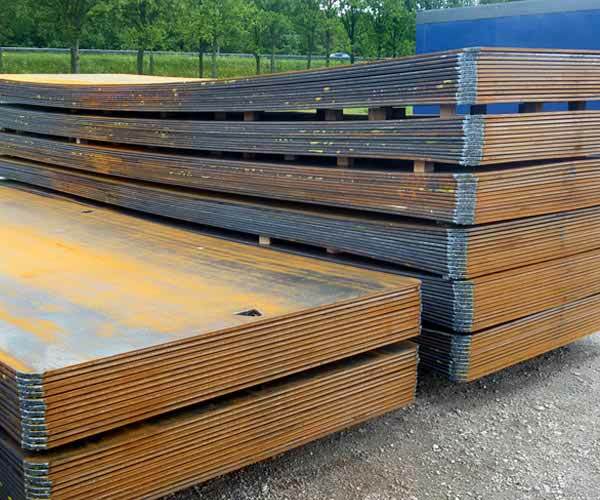 New and used steel girders HEA, HEB, HEM, UNP, IPE and INP. For applications in sectors including contracting, ship-building, steel construction, mechanical engineering and transport. Large stocks. 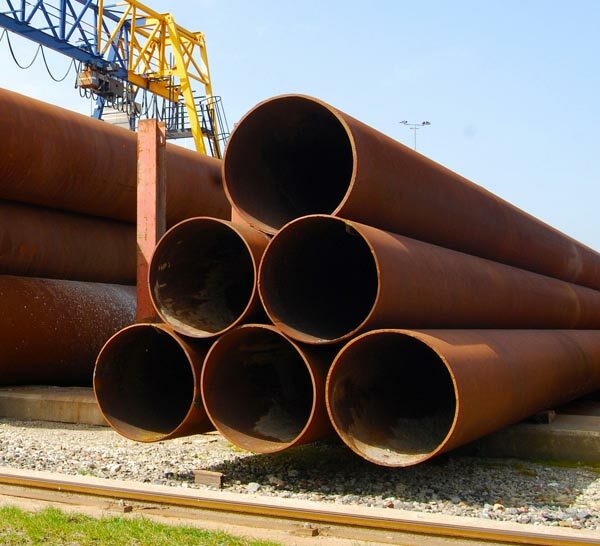 New and used steel pipes available immediately. Available in dimensions from 114.3 mm to 1420 mm. 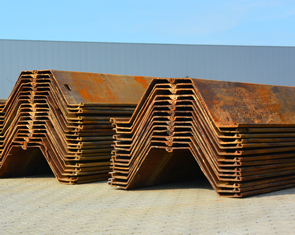 Extensive range of steel sheet piling, ranging in type and size! For applications including groundworks, road construction, hydraulic engineering, canal bank and quay wall protection or in excavations. Steel dock boards are used to make rough ground accessible. They also protect the substrate. Now available for temporary lease for projects and events. With HP Staal you can lease steel. For projects involving temporary constructions, leasing can often prove more efficient and cost effective than directly purchasing the steel. HP Staal has the knowledge and technical experience on leasing of small and large batches of steel. We aim to work with you and are happy to provide advice on the best option for your project. HP Staal can also provide made to measure steel. Depending on the requirements of your project, we can provide made-to-measure options for your project. 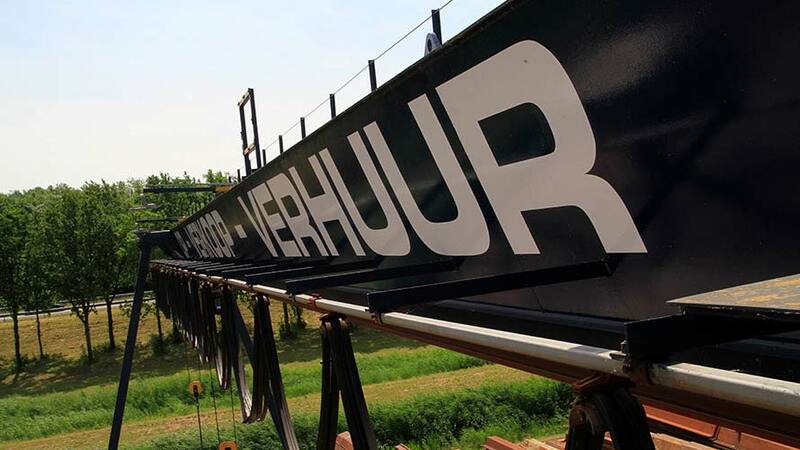 For example, we can produce extra-long pipes with lengths exceeding 30 meters to be used as culverts. 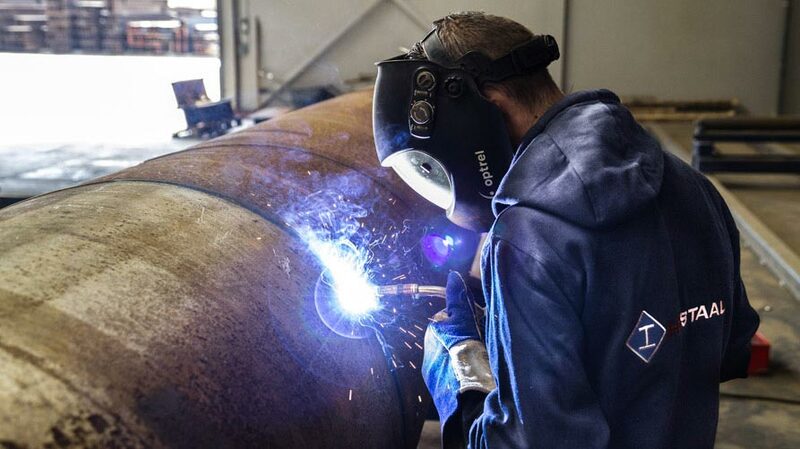 We also produce custom made-to-measure pipes that are used for struts, to support construction in excavations. We can also fit pipes with footplates or lifting eyes, as well as adding reinforcement partitions in girders depending on project requirements. That is quite an achievement! Besides new steel, we also offer an extensive range of used steel or second choice steel. Used steel and second choice steel is extremely cost effective and an environmentally friendly alternative to new steel. We execute stringent checks to ensure the steel offered is of 100% suitable quality. Used steel is steel that is in suitable condition but has been used on previous projects. Second choice steel is different in that it is unused and is usually a remnant of over-complete factory batches. Second choice steel may therefore occasionally have minor defects, which do not affect the performance of the steel. Depending on your project requirements, used or second choice steel may be ideal for you. Ideal for many applications! 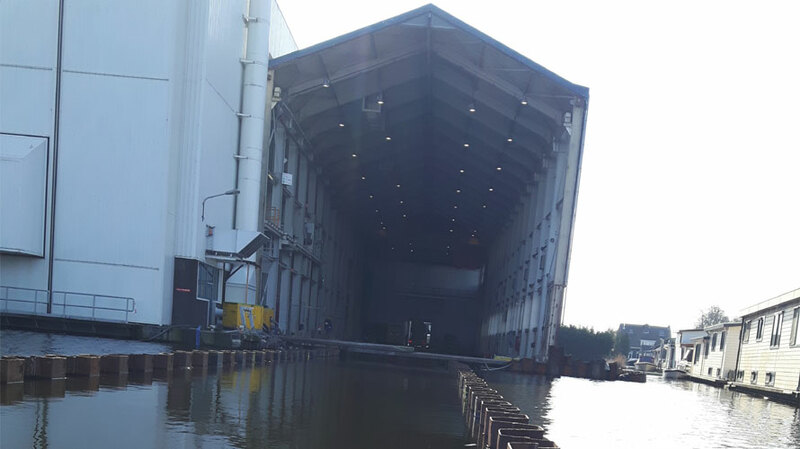 Extremely luxurious ocean-going yachts are built in large shipbuilding halls in Aalsmeer. 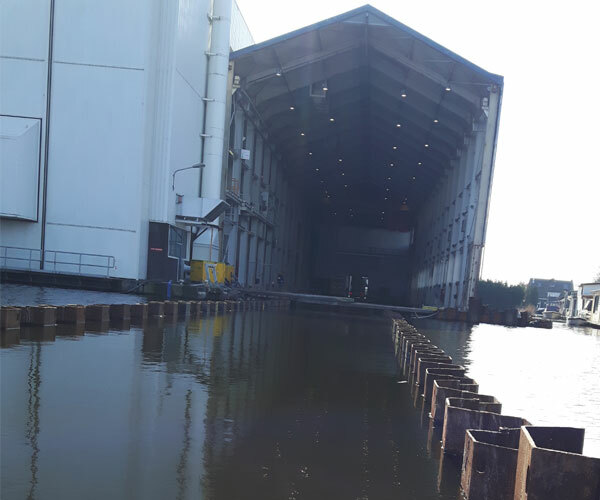 In this project, a slipway more than 110 metres in length had to be converted into a dry dock in order to allow the production of even larger vessels. 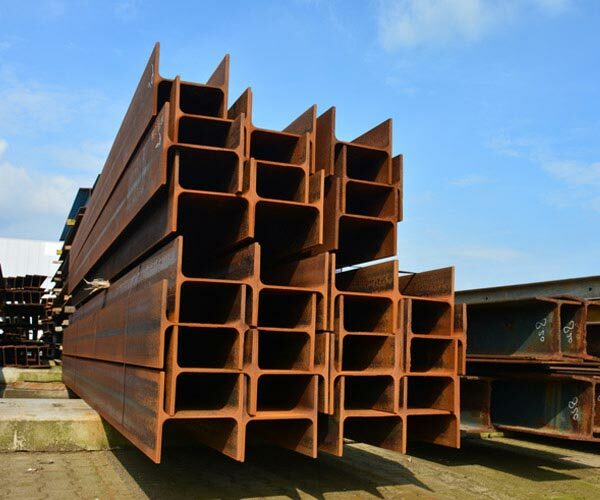 HP Staal supplied steel sheet piling, pipes and girders. HP Staal specialises in the sale of new and used steel for temporary steel constructions, including but not limited to groundworks, road construction, hydraulic engineering and non-residential construction. 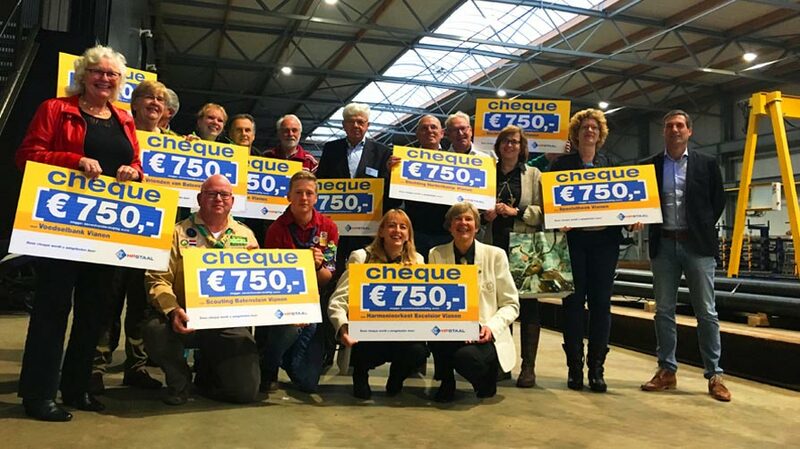 Situated in Vianen, we have over 60,000m² of floor space containing an extensive range of steel products, and can supply almost all products direct from stock. 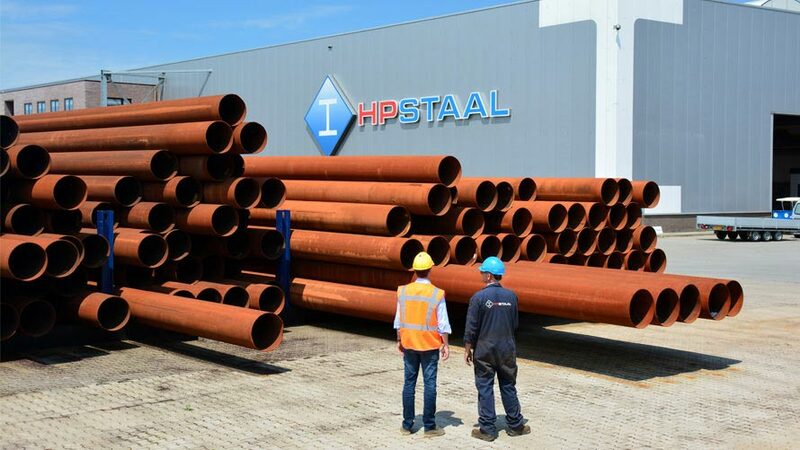 From steel girders, pipes to sheet piling and dock boards, it is possible to lease or order made to measure products direct from HP Staal. HP Staal aims to work in collaboration with you to find the best solution for your project.